I love it when you see something by chance on the TV, that stops you in your tracks — and you just have to have more. 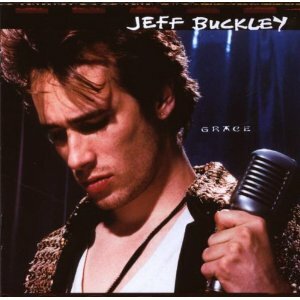 This is exactly what happened with the video promo for “Grace” by Jeff Buckley. I immediately went out and bought the album “Grace“. Thing is, he’d recently died (by accidental drowning in the Wolf River in Memphis USA), so there would be no further wonderfully crafted original music from Scotty Moorehead (his “real” name). I think there’s a Chet Baker legacy for the quieter ballads, but in the rock music side of things, Buckley is out there on his own — perhaps influenced by Robert Plant, but with lots of added extra influences, possibly black women such as Aretha Franklin. You listen, you decide! Over the years I have rediscovered “Grace” again and again for the usual reasons — switching from CD to a computer file, the renewed interest in the media (mainly around “Hallelujah” and Cohen, Elisa, Burke etc) a couple of years ago. But I have no idea why I didn’t think of looking up YouTube until now. His voice can give me chills and thrills, and he never plays it safe — the element of right on the edge vocals brings such amazement to me, really — I’ve sung live, I’ve taken chances and they have (luckily) paid off to my eternal immense relief — but to see someone totally risk everything, to squeeze every last drop of emotion, to face public disgrace and humiliation by singing flat or sharp or out of time (or all of the above). OMG. Just wow. It’s crazy, it’s wild, it’s utterly Buckley. What a voice — what a guitar player, and what a song-writer! Clearly Buckley has been a huge influence on Gregory Hoskins and loads more, such as The Antlers. I can’t listen to “So Real” without thinking of Grizzly Bear, it’s the chords, the mood or something, y’know? But this guy is the original. I saw a TV documentary about him a couple of years ago — and they reckon he was a blend of Robert Plant and Jimmy Page — now THAT’S an absolutely massive compliment right there, and possibly the best epitaph, I’ll leave it there. This entry was posted on	2011-01-12 at 22:03	and is filed under Music.